The train is moving again. The glorious sounds of the engine meshing with the blurring of the landscape as the Amtrak rushes, backwards from my seat position, through the countryside of Michigan, the lush forests, farms, and hills of an old land that reflects the early days of the state and even the country, when cities were few and far. We’re packed up and ready for another trip down to Olathe, Kansas. This would be the 5th or 6th time that the family is headed down to the Heartland to see the youngest sister and her significant other, the first time being in the summer of 2014 when we visited the University of Kansas. 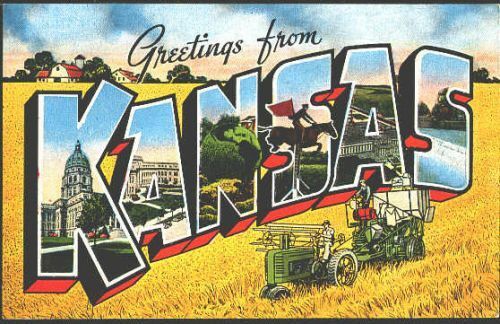 Kansas is still quite new to us as we have only scratched the surface of it, having only been near the border cities and not into the deep part of the state. The conductor checked my ticket again today, as he always does, scanning it and giving it back to me where I place it back in the top compartment of my luggage bag. Everything he has accomplished is futile — like chasing the wind! In the end, everything we do, all the money we may or may not have, doesn’t matter one little bit, because all of it doesn’t go with us. The only thing we can hold onto are our hopes and dreams and to believe that there is more to life than just living and dying. It sure is a big break from me playing video games for many hours straight, only getting up once in a while to eat something or use the facilities. I’ve become so addicted to playing Batman: Arkham Knight, the explosive finale in the Arkham series of games. Probably one of the best games I’ve played in a while, besides Skyrim, which is why I’ve had a hard time putting it down, because there is so much to see and do. From what I know so far, near 90% completion of the game, it is the ending stories of several high profile criminals in Gotham, and they all get locked up in prison, though I’m not sure yet if they escape or get released by some outside help. For now, I continue to listen to the train’s whistle as it rumbles down the track. The usual route is stopping in Chicago at Union Station and then taking a bus to Wisconsin, but that is not the case this time. It will be a longer train ride to Lawrence, Kansas, going through a lot of flat farmland in Illinois and Missouri. It sure is a lot better than driving down there, which is what we did the first time, staring at boring scenery for hours and hours, but I remember it fondly and cherish every moment of it. I am envious. I have never been on a train. One day soon… I hope.